Developer: Siddhitech Homes Pvt. 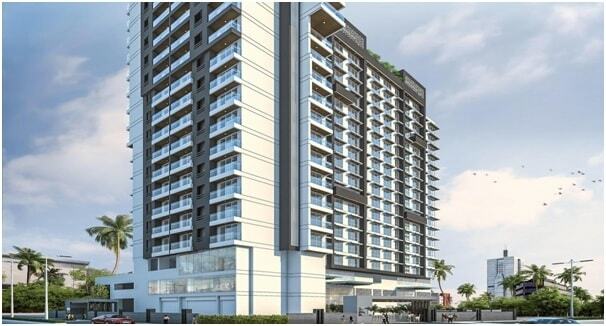 Ltd.
A residential project is being launched - "Siddhitech Garima" at Chembur . This residence apartment is designed by Siddhitech Homes Pvt.Ltd. It is a latest residential project in Mumbai. These 16 floors towers comes from a developer who has a history of using genuine materials and making use of space in a different way. This project by Siddhitech Homes Pvt. Ltd is in in progress stage. The project offers 2 BHK Flats within 545 - 734 Sq.Ft. The luxury homes are available at attractive price starting from 1.36 Crore. Siddhi Garima is one of the residential development of Siddhitech Group presenting 2 BHK apartments with the front road and the front road covers width of 30 Feet. Garima Project is designed to avail perfect living conditions with eco-friendly environment for its residents. Each homes of Garima brings the joy of unhindered living.It has a saleable area of 711 sqft and is available at a price of Rs. 23,909 per sqft. The nearest landmark of Garima Apartments is Eden Gardens. Eastern Express Highway and Sion Panvel Highway are important road network linking Chembur to rest of Mumbai.. The Lokmanya Tilak Terminus, which is located in Kurla acts as start point for accessing many train distances/destinations also it is at a short driving distance. Bombay Presidency Golf Club here is one of the prominent golf clubs in Mumbai. The area is rich with several industries, factory outlets, multi-product stores and a shopping mall. Siddhitech Garima is located at Chembur East, Mumbai. Lifestyle amenities include Gymnasium, Swimming Pool, Children's play area, Rain Water ing, 24 X 7 Security, Power Backup, Gardens, Car Parking, Paved Compound, Open , Video Security, Firefighting Equipment, Water Plant, 24 Hour Water Supply, Lift, Temple in the complex, Grand and Designer Entrance Lobby. Schools: - Mahatma Education, Swami Vivekanand High School, Loreto Convent School, St.Gregorious High School. Hospitals: -Inlaks General Hospital, Apollo Spectra Hospital, Niramaya Hospital, MangalAnand Hospital, Rane Hospital. Bus Stations: -Maitri Park Bus Stand, Deonar BEST Bus Colony. Railway Stations: -Mono Rail Depo, Chembur Railway Station, Chunnabhatti Railway Stattion. Banks/ ATMs: - Axis Bank ATM, Canara Bank ATM, ICICI Bank ATM. Parks: -Nanak Bhojwani Garden, Dongre Park, Lalmatti Garden, Basant Park, Golf View Park. Shopping Malls: -Shpppers Stop Chembur, K Star Mall, R-Odeon Mall, Khinoor City Mall. Pharmacies: -ShriBalaji Medical, ShriSiddhivinayak Medical, Trilochan Medical. Restaurants: - RanjeetDaaDhaba, Raj Restaurant, Red Bell Pepper, Vig. Movie Theatres: - Basant Cinemas, Ashish Theatre, Fun Cinemas, Vijay Theatre. 424 sq.ft. - 1063 sq.ft.